Thanks so much to Quercus Books for these copies in return for our honest opinions! Scroll below to see what Jessica and I thought of this slow burn suspense novel. Jo Harding can't remember the last year of her life. And her husband wants to keep it that way. When Jo falls down the stairs at home, she wakes up in the hospital with partial amnesia. In fact, she finds that she's lost an entire year of memories. She can't remember what she did, or anything that happened the night she fell. A lot can happen in a year, and she begins to discover that she may have been leading a double life before the accident. As she questions the details of the past year and why her family wants her to stay in the dark, she begins to realize she might not be as good a wife and mother as she might have hoped . 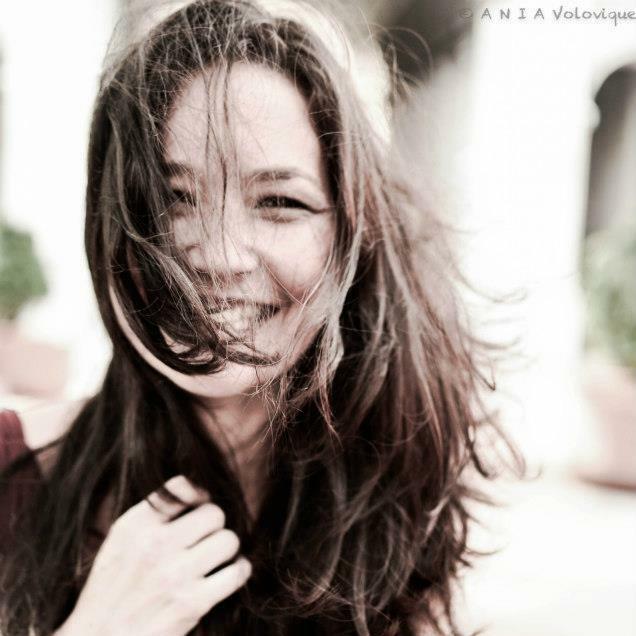 . .
What would you do if you woke up after a fall and can't remember the last year of your life, find yourself apprehensive about a husband you think you love and everyone is tip toeing around you? Traveling from the days after she wakes up from her accident, to the past year as she starts to remember... the author gives us a full on, in depth peek inside Jo's mind. She does a great job transversing in time as we get peeks into what everyone is hoping she won't remember. Her children seem different, her husband is too attentive and the only person who seems to be honest with her, a co-worker, is telling her things that don't make much sense. No one is as they should be and as the memories start coming back, she confronts a reality she didn't expect. I struggled through the first 200 pages of this book. This is definitely a slow burner of a book but I was intrigued to see exactly what we were going to learn about Jo and her family. As much as I love to dislike characters, I really just couldn't find myself empathizing or feeling bad for Jo on any level. The last 100 pages or so picked up in speed and we finally get some answers... however, by this point, my interest had pretty much waned. I still needed to know what happened but nothing was all that surprising. Don't get me wrong, the book is a solid debut. 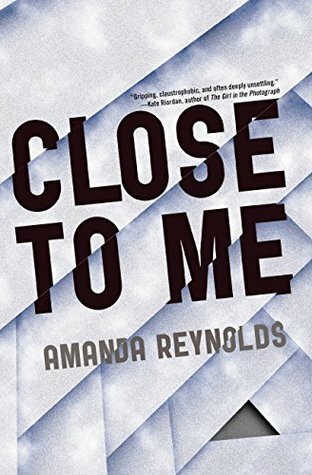 I'm intrigued to see what else Amanda Reynolds will bring to the table as I'll surely check out her next book. This one just didn't quite work for me. 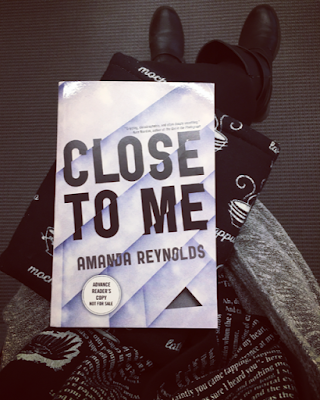 However, her writing is solid, her character build is on point and I think those who love the slow burn suspense will really enjoy this story line. What would you do if you woke up and couldn't remember anything from the last year of your life? 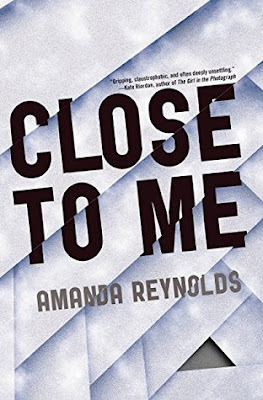 CLOSE TO ME by Amanda Reynolds follows Jo Harding as she struggles to find out what happened to her the night she fell as well has the year of memories she has lost. We start off with Jo waking up in the hospital. She finds out she has partial amnesia from falling down the stairs. The last thing she can remember - dropping her son off at college - happened a year ago. As she tries to piece together her life from the last year, things don't feel right. Her husband and her children don't feel familiar. Was she the attentive wife and mother she thought she was? As she begins to remember, she quickly realizes that she wasn't who everyone thought she was. This is definitely more of a "diving inside the mind of the character" type mystery. It's a slow burning mystery/thriller and I felt that Reynolds did a good job pulling me along through the novel. What happened to Jo? I couldn't imagine not knowing what happened for a year of my life and having everyone around me feel foreign. I know that this won't be for everyone - if you're looking for a fast-paced thriller then this won't fit the bill. However, if you like the slow build of tension with a faster paced ending, then you'll have to grab this debut! Overall, this was a solid debut. It felt a little slow in parts, but that's expected when it's a more character focused suspense. 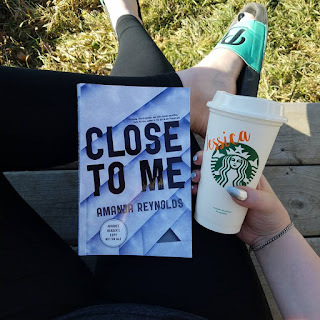 I'll be keeping my eyes peeled for more from Amanda Reynolds in the future!